An Alberta public health organization violated an employee’s privacy when it collected and used information on the employee’s addiction under the auspices of treatment but used it for disciplinary reasons, a privacy adjudicator has ruled. The complainant was an employee of Alberta Health Services (AHS), the province’s public health authority. The employee sought help for an addiction from a psychiatrist in June 2009. The psychiatrist referred him to addiction counselling services, which were provided by the AHS Addiction and Mental Health Services, which was under the umbrella of his employer, AHS. 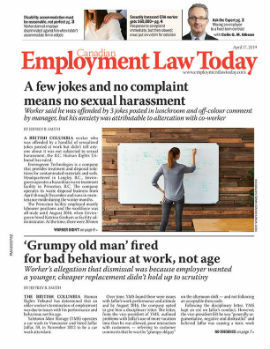 When the employee attended counselling sessions, his counsellor informed him that because he worked for AHS, his condition had to be reported to the organization under the AHS code of conduct. The employee was then asked to sign a consent form allowing the counsellor to disclose his health information and to contact his doctor. The consent form stipulated that his information was being collected in order to allow AHS to “provide me with continuous care, treatment planning and treatment services.” The counsellor contacted the doctor and gathered more details about the employee’s addiction.